The area of Buddhist monasticism has long attracted the interest of Buddhist studies scholars and historians, but the interpretation of the nature and function of monasteries across diverse cultures and vast historical periods remains a focus for debate. This book provides a multifaceted discussion of religious, social, cultural, artistic, and political functions of Buddhist monasteries in medieval China and Japan. With contributions from leading scholars in the field, this volume explores the multiplicity of the institutions that make up "the Buddhist monastery." Drawing on new research and on previous studies hitherto not widely available in English, the chapters cover key issues such as the relationship between monastics and lay society, the meaning of monastic vows, how specific institutions functioned, and the differences between urban and regional monasteries. Collectively, the book demonstrates that medieval monasteries in East Asia were much more than merely residences for monks who, cut off from the dust and din of society and all its entrapments, collectively pursued an ideal cenobitic lifestyle. 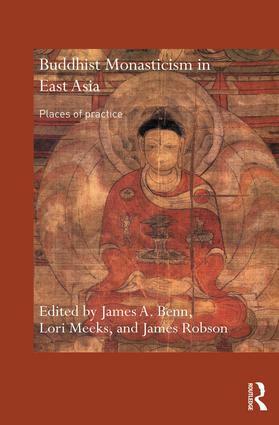 Buddhist Monasticism in East Asia is a timely contribution to the ongoing attempts to understand a central facet of Buddhist religious practice, and will be a significant work for academics and students in the fields of Buddhist Studies, Asian Studies, and East Asian Religions.